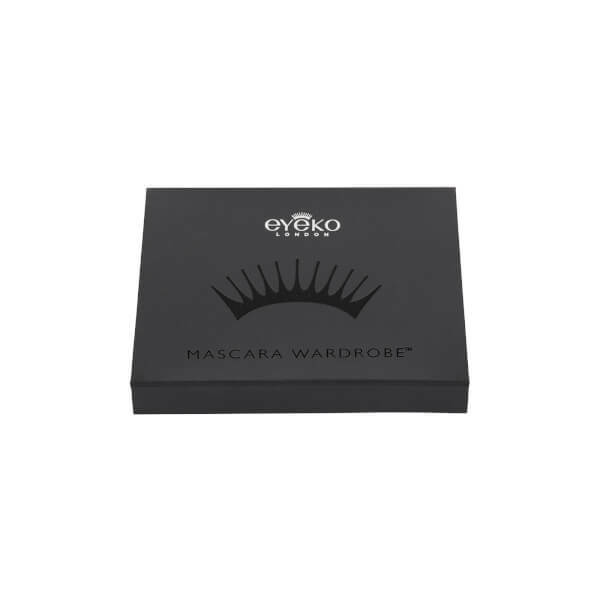 The Eyeko Mascara Wardrobe® combines six award-winning mascaras, each formulated to deliver lash-enhancing results. From curling to volumising, thickening and defining, each mascara will amplify your lashes to perfectly complete your makeup look. Housed in a luxe gift box. A volumising and lash-curling mascara that grabs every eyelash to create a jet black, dramatic makeup look. Infused with Keratin and Shea Butter, the Korean 'tubing' formula fully coats every lash, wrapping them in long-lasting smudge-free, clump-free colour. Removes easily with warm water. 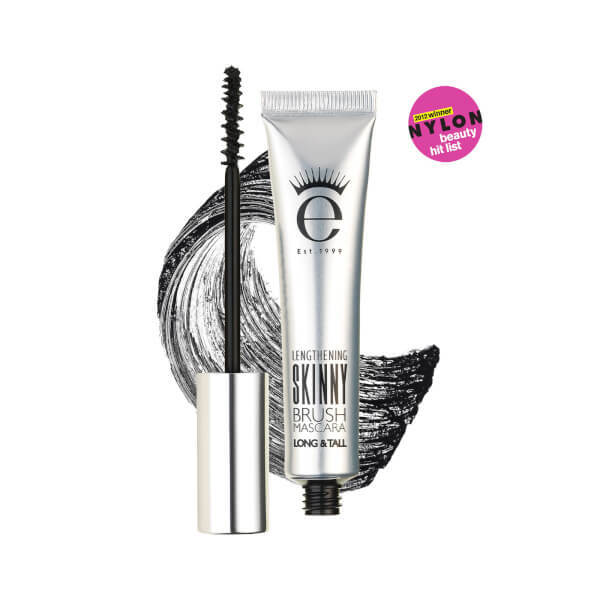 A black mascara enriched with Pro-Vitamin B5 and Botanical Oils to help care for your lashes whilst intensely volumising and separating.Housed in a squeezy tube to minimise waste, the conditioning formula works in tandem with the award-winning, slim brush; its evenly spaced bristles capture even the shortest of lashes to lengthen, enhance and intensify your eye makeup look. The mascara's nourishing formula helps to promote lash growth by preventing breakage, and delivers instantly longer-looking lashes with long-term care. Expect longer, healthier-looking lashes with no smudging, flaking or crumbling. Locks in colour for over 12 hours. Paraben free. 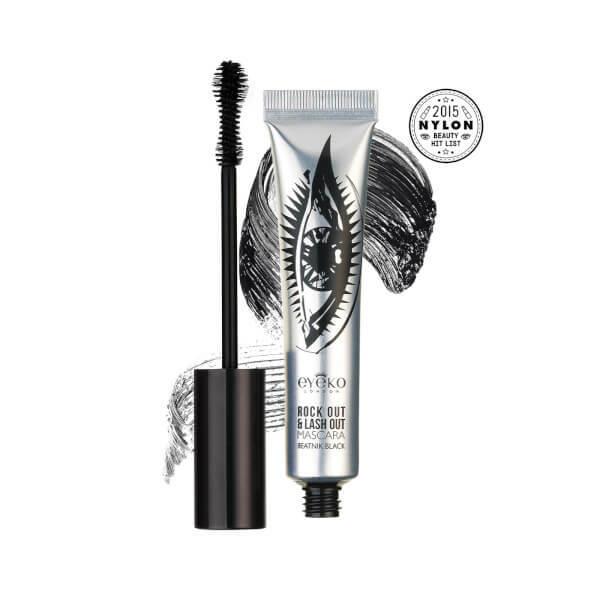 A nourishing and volumising mascara that creates instant va-va-voom results. Enriched with conditioning Shea Butter, the black mascara improves strength and elasticity over time, naturally thickening and lengthening for full, fluttery lashes. The full contact helix brush is angled for maximum curling power, with double the fibres to visibly lift and separate from root to tip. Housed in a zero-waste tube and promising no smudging, crumbling or flaking, the mascara will ensure lashes are volumised, healthy and re-energised all day. 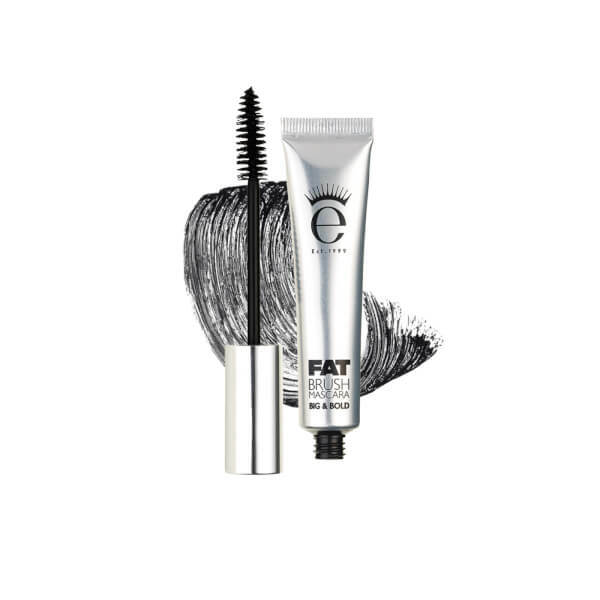 A carbon black mascara enriched with fibres and Keratin to help care for your lashes while intensely volumising and thickening. 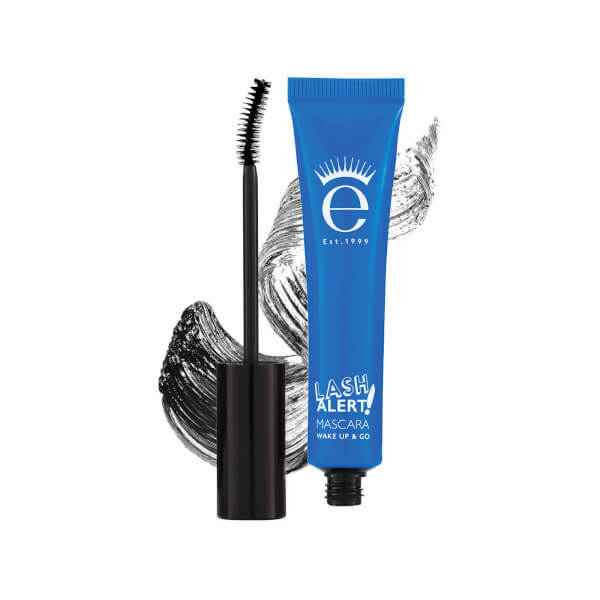 Housed in a squeezy tube to minimise waste, the conditioning formula works in tandem with the super-sized brush; its dense bristles capture lashes from root to tip to lengthen, volumise and intensify your eye makeup look. The mascara's fibre-enhanced formulation helps to build visibly thicker, defined-looking eyelashes. Expect voluptuous, fuller-looking lashes with no smudging, flaking or crumbling. Locks in colour for over 12 hours. Paraben free. 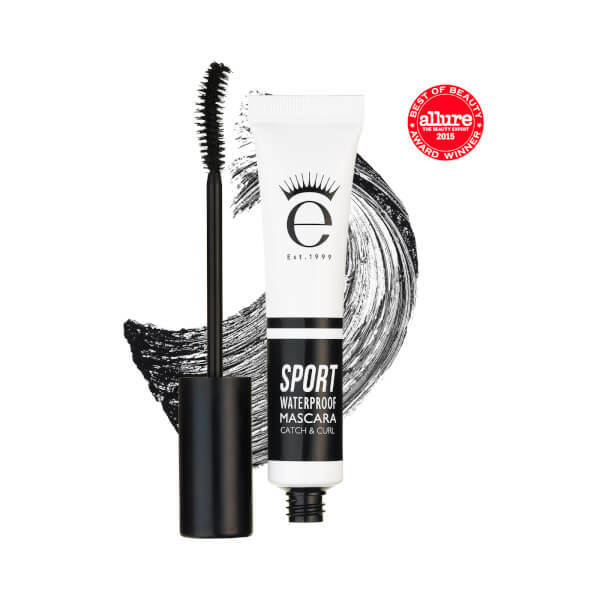 An all-action mascara that stays put through sweat-fests at the gym and pool-play on holiday. With an award-winning, fibre-enhanced formula, the mascara plumps up lashes and has a unique, curved brush to lift and lengthen with lasting effect. The 100% Waterproof Thixotropical gel formulation repels water. Contains Collagen and two different fruit extracts to condition and plump-up lashes. The fibres are suitable for sensitive eyes. Cruelty free. 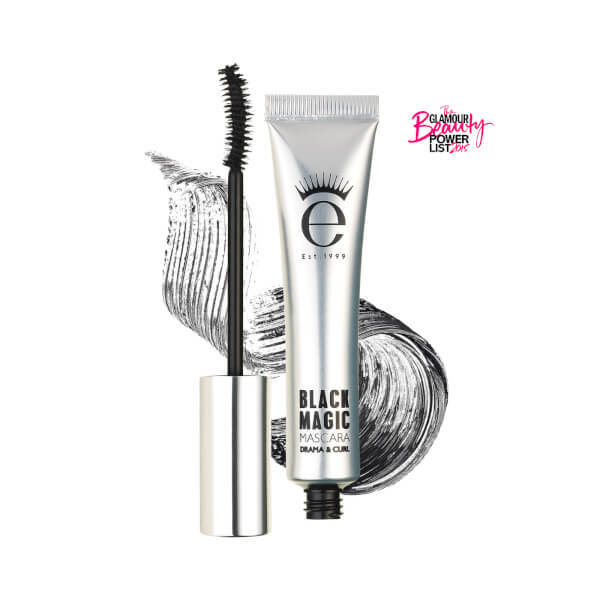 A black mascara with custom guitar-shaped brush to effortlessly thicken, volumise and curl the look of your eyelashes. With an innovative gel formula enriched with Polymers, Waxes and Cellulose Powder, the amplifying mascara grabs and captures every lash to define and lengthen. The buildable formula leaves lashes looking fuller and fanned out without risk of running, smudging, crumbling or flaking. Sweep the brush up to coat and lengthen the lashes from root to tip. Black Magic: Aqua (Water), Acrylates Copolymer, Cera Alba (Beeswax), Ozokerite, Copernicia Cerifera Cera (Carnauba) Wax, Polyglyceryl-3 Methylglucose Distearate, Stearic Acid, 1,2-Hexanediol, Butyrospermum Parkii (Shea Butter), Hydroxyethylcellulose, Magnesium Aluminum Silicate, Triethanolamine, PEG-14M, Isobutylene/Sodium Maleate Copolymer, Microcrystalline Wax, Phenyl Trimethicone, Phenoxyethanol, Propylene Glycol, Silica, Simethicone, Butylene Glycol, Polysorbate 60, Chlorphenesin, Dimethicone, Disodium EDTA, Hydrolyzed Keratin, Oleth-10, Pentaerythrityl Tetra-Di-t-Butyl Hydroxyhydrocinnamate. May Contain: CI 77499 (Iron Oxides), CI 77266 (Black 2). 8ml 0.29fl oz. Created in London. Made in S. Korea. Skinny Brush: Aqua (Water), Acrylates Copolymer, Cera Alba (Beeswax), Hydrogenated Rapeseed Oil, 1,2-Hexanediol, Cetearyl Alcohol, Copernicia Cerifera (Carnauba) Wax, Butylene Glycol, Isobutylene/Sodium Maleate Copolymer, Octylacrylamide/Acrylates/Butylaminoethyl Methacrylate Copolymer, PEG-40 Stearate, Silica, Triethanolamine, Stearic Acid, Glyceryl Stearate, PEG-100 Stearate, Phenoxyethanol, Phenyl Trimethicone, Montmorillonite, Hydroxyethylcellulose, Chlorphenesin, Dimethicone, Simethicone, Panthenol, Polysorbate 20, Disodium EDTA, Potassium Hydroxide. MAY CONTAIN: CI 77499 (Iron Oxides). 8ml 0.29fl oz. Created in London. Made in S. Korea. Lash Alert: Aqua (Water), Acrylates/ Ethylhexyl Acrylate Copolymer, Cera Alba (Beeswax), Butyrospermum Parkii (Shea) Butter, Microcrystalline Wax, Copernicia Cerifera Cera (Carnauba) Wax, Stearic Acid, 1,2-Hexanediol, Polyglyceryl-3 Methylglucose Distearate, Magnesium Aluminum Silicate, Polyvinyl Alcohol,Triethanolamine, Isobutylene/Sodium Maleate Copolymer, Silica, Phenoxyethanol,Phenyl Trimethicone,Simethicone, Nylon-6, Dipropylene Glycol,PEG-40 Hydrogenated Castor Oil,Chlorphenesin, Dimethicone, Hydroxyethylcellulose, Disodium EDTA, Laureth-21,Alcohol, Magnolia Officinalis Bark Extract, Pentaerythrityl Tetra-Di-t-Butyl Hydroxyhydrocinnamate, Allium Sativum (Garlic) Bulb Extract, Camellia Sinensis Leaf Extract, Houttuynia Cordata Extract, Perilla Frutescens Leaf Extract, Perilla Ocymoides Seed Extract, Polygonum Multiflorum Root Extract, Arginine, Caffeine, Sodium Dehydroacetate,Angelica Gigas Root Extract, Apigenin, Astragalus Membranaceus Root Extract,Atractyloides Japonica Rhizome Extract, Biotin, Biotinoyl Tripeptide-1, Butylene Glycol, Cinnamomum Zeylanicum Bark Extract, Cnidium Of cinale Root Extract, Ethylhexylglycerin, Glycyrrhiza Glabra (Licorice) Root Extract, Oleanolic Acid, Paeonia Albiflora Root Extract, Panax Ginseng Root Extract, Poria Cocos Extract, PPG-26-Buteth-26, Rehmannia Chinensis Root Extract, Iron Oxides (CI 77499), D&C Black No. 2 (CI 77266). Created in London. Made in S. Korea. Fat Brush: Aqua (Water), Acrylates Copolymer, Cera Alba (Beeswax), Hydrogenated Rapeseed Oil, 1,2-Hexanediol, Cetearyl Alcohol, Copernicia Cerifera (Carnauba) Wax, Kaolin, Butylene Glycol, Isobutylene / Sodium Maleate Copolymer, Octylacrylamide / Acrylates / Butylaminoethyl Methacrylate Copolymer, PEG-40 Stearate, Trehalose, Triethanolamine, Stearic Acid, Glyceryl Stearate, PEG-100 Stearate, Phenoxyethanol, Phenyl Trimethicone, Montmorillonite, Hydroxyethylcellulose, Polysorbate 60, Chlorphenesin, Dimethicone, Nylon-6, Silica, Simethicone, Oleth-10, Polysorbate 20, Disodium EDTA, Potassium Hydroxide. MAY CONTAIN: CI 77499 (Iron Oxides), CI 77266 (Black 2). Sport Waterproof: Isododecane, Trimethylsiloxysilicate, Aqua (Water), Beeswax, VP/Eicosene Copolymer, Silica, Alumina, Copernicia Cerifera (Carnauba) Wax, Cetyl PEG/PPG-10/1 Dimethicone, Disteardimonium Hectorite, Ethylene/Propylene Copolymer, Polyethylene, Butylene Glycol, Magnesium Sulfate, Hydrogenated Polyisobutene, Sorbitan Isostearate, Propylene Carbonate, Potassium Sorbate, Phenoxyethanol, Nylon-66, Triethoxycaprylylsilane, Cyclopentasiloxane, Ceramide 3, Tocopheryl Acetate, Hydrolyzed Collagen, Glycerin, Sodium Polyacrylate, Palmitoyl Myristyl Serinate, PEG-8, PEG-8/SMDI Copolymer, Lycium Chinense Fruit Extract, Vaccinium Macrocarpon (Cranberry) Fruit Extract, Rubus Idaeus (Raspberry) Fruit Extract, Morus Nigra Fruit Extract, Ribes Nigrum (Black Currant) Fruit Extract, Vaccinium Angustifolium (Blueberry) Fruit Extract, Rubus Fruticosus (Blackberry) Fruit Extract, Euterpe Oleracea Fruit Extract (Acai), Rubus Coreanus Fruit Extract (Black Raspberry), Vaccinium Myrtillus Fruit Extract (Bilberry), Aristotelia Chilensis Fruit Extract (Wineberry), Ethylhexylglycerin. MAY CONTAIN: CI 77499(Iron Oxides), CI 77019 (Mica), CI 77891 (Titanium Dioxide). 8ml 0.29fl oz. Created in London. Made in S. Korea. Rock Out & Lash Out: Aqua (Water), Acrylates Copolymer, Acrylates / Ethylhexyl Acrylate Copolymer, Cera Alba (Beeswax), Butylene Glycol, Copernicia Cerifera (Carnauba) Wax, Stearic Acid, Hydrogenated Polyisobutene, Cellulose, Tribehenin, Glyceryl Stearate SE, Cetearyl Alcohol, Sorbitan Stearate, Polysorbate 60, Alcohol Denat, Montmorillonite,Tromethamine, Phenoxyethanol, Glyceryl Behenate, Glyceryl Dibehenate, Methylglucamine, Simethicone, Laureth-21, Sodium Polyacrylate, Silica, Myristic Acid, PEG-40 Hydrogenated Castor Oil, Etylhexylglycerin, Disodium EDTA, Sodium Dehydroacetate. MAY CONTAIN: CI 77499 (Iron Oxides), CI 77266 (Black 2). 8ml 0.29fl oz. Created in London. Made in S. Korea.